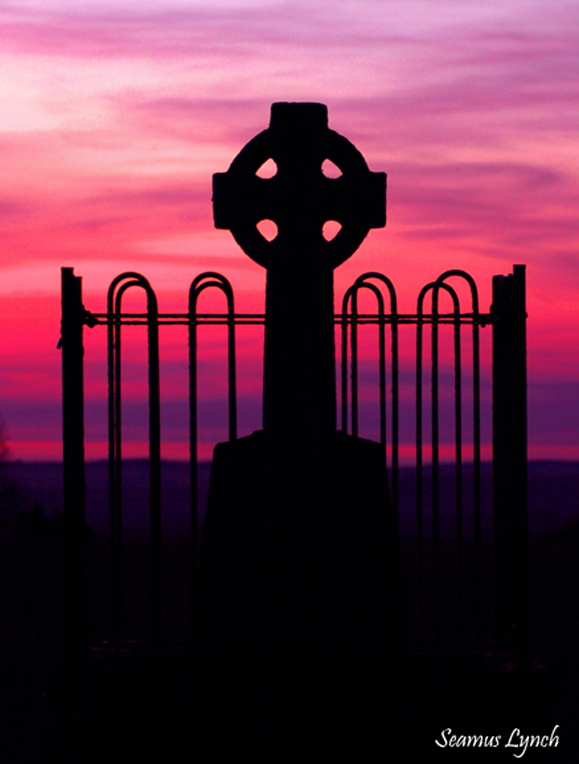 Tara Cross, on the Hill of Tara, Co. Meath. Photo by Seamus Lynch. Lovely photo. The Hill of Tara is magnificent any time of day but you’ve certainly caught a particularly arresting one here. Fine commentary as well – a succinct remembrance of those who fell for Ireland at Tara. Nicely done.